It’s no surprise that we love our whiskey but we also love the bottles! We have a tendency of keeping all our empty bottles and storing above the kitchen cabinets. Anyone else?The time has come to put a couple of our favorite bottles to good use! 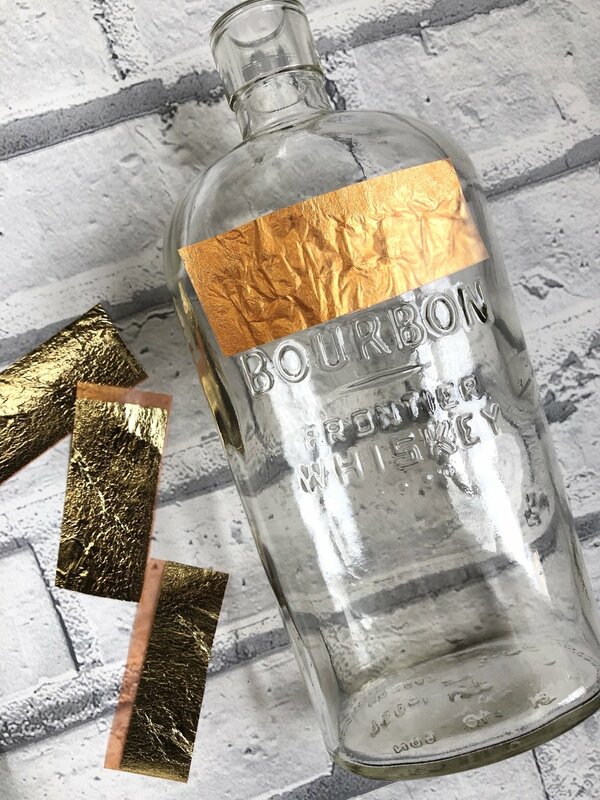 If you’ve gold leafed before, the concept is really easy. Remove label and let dry. Tip: Run under hot water or use Goo Gone. 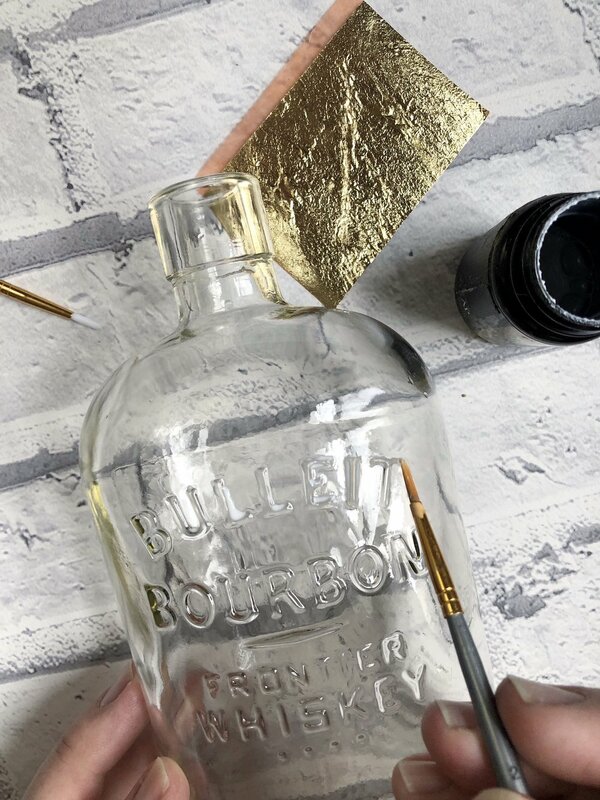 Apply a thin even layer of gold leaf adhesive on the raised lettering on the bottle. Let adhesive dry until tacky. TIP: Follow the instructions on the adhesive. Generally, the adhesive will become translucent when tacky. Lay sheets of gold leaf onto the adhesive, press and remove backing. TIP: Cut the sheets into smaller pieces for easier application. Use a soft paint brush and gently brush off any extra gold leaf. Wrap rope around the bottom of the bottle and secure with hot glue. Use a long piece of thick wire and wrap around the neck of the bottle to hang. Fill with water and give your plant a home. Tip: The philodendron is one of the few houseplants that can grow in water permanently. We’re absoulty in love with the way they turned out! Not only do they look great but they are out of our cat’s reach! Double win!